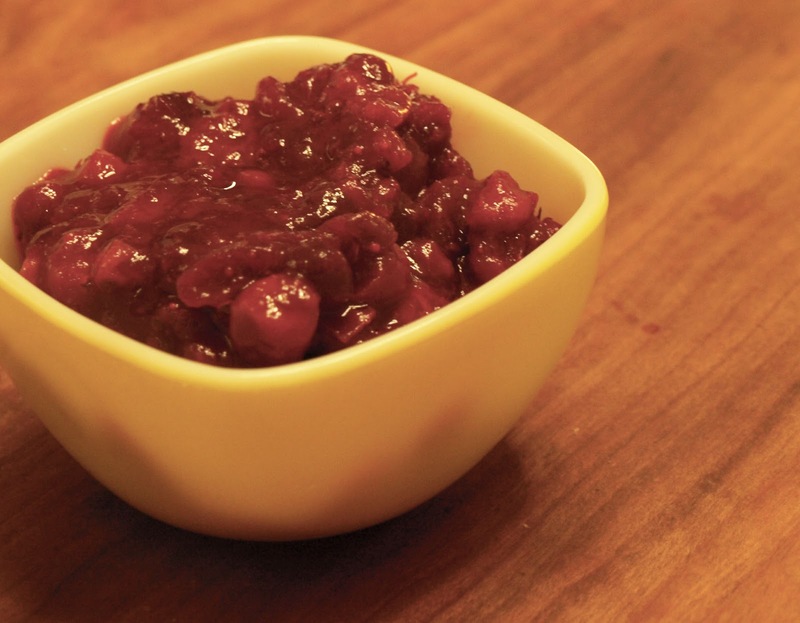 This is a simple yet unusual twist on cranberry sauce that has become our favorite. If you like cranberry sauce, you can have a lot of fun trying different combinations of fruit, juices, and vegetables. Combine all ingredients in a heavy-bottomed saucepan and bring to medium heat. Continue to heat, stirring occasionally, until mixture has simmered long enough for the cranberries to pop, about 20-30 minutes. The mixture should thicken as it simmers- if it gets too thick, or begins to scorch, you can add more pomegranate juice. This sounds awesome! You've been posting some tasty-looking dishes! I can't wait until I can start adding in nuts and fruit again. I just put about half a bag of fresh cranberries in my small food processor with a handful of dates and whizzed them smooth. It was a great cranberry sauce for Thanksgiving! And raw, too.